Web-tastic and Fantastic, when Spider-man and the Fantastic Four team up to ward off Atuma's army when it invades New York. Plus Silver Sable, Captain Universe, and the girls tackle a Dubious quiz about some Dubious Spider-man stories. All this PLUS and e-mail. 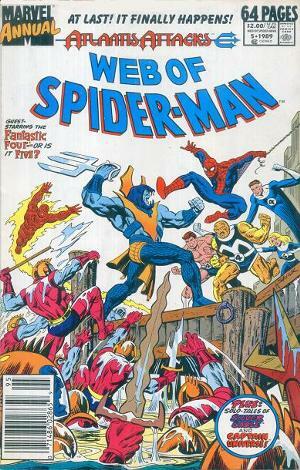 We also promote the fabulous Fantasticast (what else with a comic featuring the Fantastic Four).